Bedknobs is a family business which has been established for over 35 years. Based in Hertfordshire and accessible for Buckinghamshire, Bedfordshire and Berkshire, we offer a personal service and our friendly helpful and professional staff are always on hand to help make sure you have a fabulous night's sleep. Purchasing bedroom furniture doesn't get much easier than visiting Bed Knobs, take a tour of our website or come and visit us at our impressive showroom and find out more about our high-quality, superb value beds and mattresses including King Size Beds, Double Beds, Divan Beds, special sized beds and so much more! All of our beds are available in both traditional and contemporary styles to suit all tastes. Our sleep experts offer you a wide choice of beds and will help you to choose the right bed and mattresses to suit your exact needs. If you have a particular budget in mind and require a quality bed which will give you value for money, visit us at Bed Knobs and we will show you the best range of suitable beds available within your price range. We pride ourselves on the outstanding customer service we provide and have built a fantastic reputation within the areas of St Albans, Hemel Hempstead, Buckinghamshire and beyond for offering outstanding customer service and quality products at the most competitive prices. We do all of the hard work for you! Not only will we help you to decide on the best purchase for you, but will also deliver your brand new bed totally FREE of charge, assemble your new divan and remove your old bed! 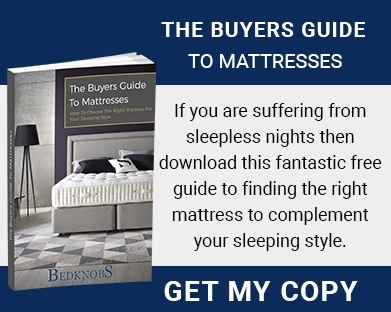 Bedknobs have a huge variety of quality beds and mattresses, all of which are available at the most competitive prices. Our sleep experts offer friendly advice regarding anything and everything to do with beds and mattresses, and will spend as long as it takes with you to make sure you are happy and confident about your purchase, allowing you to rest assured that you have invested in the right bed or mattress to suit your needs perfectly. We have sold quality beds, mattresses and bedroom furniture to loyal customers in Abbots Langley, Aylesbury, Berkhamsted, Brookmans Park, Chipperfield, Chesham, Dunstable, Harpenden, Leighton Buzzard, Hatfield, Watford, St Albans & Slough, to name just a few. For FREE help and advice please do not hesitate to contact us on 01442 269989 we are always happy to help! Or if you prefer you can have a chat with us face to face by paying a visit to our impressive showroom with various beds and mattresses including King Size Beds, Double Beds and Divan Beds available for you to take a closer look at.